There are business designs that are applicable in parenting. After all, parenting IS a business. It is about nurturing and guiding to achieve success. Coaching and counseling are two things that are constantly applied in the corporate world. I take these things to heart, for the main reason that these are also good parenting tools. How would we know exactly when to coach and when to counsel? Coaching is the act of teaching and training to increase awareness and to improve focus on the goals and objectives. In the corporate world, coaching is done to drive performance by setting goals and expectations. In parenting, coaching is the day-to-day interaction with your children, praising them for their work, focusing on their strengths and encouraging them to give their best. Parents, as coaches, also provide feedback and speak to their children about certain attitudes and practices that needs improvement. It is a balance of praise and constructive criticism that gives that "nudge" to keep them on a straight path. 1. Choose a time and place that would be conducive for the interaction. 4. Establish an open communication. Listen in an open minded way and respond with a positive or neutral attitude. 7. Offer help. This would entail providing support to acquire resources, when needed, to achieve the goal. There are some instances when coaching should not be done. 1. When you want your children (or employees) to learn from their mistakes. As the old cliche goes, "Experience is the best teacher." When my son got actively involved in sports, I talked to him and reminded him that it is okay for him to do what he loves, as long as his academics would not take the back seat. He did excel in his sport, however, the time that he should have spent studying was used for practice. I provided feedback and advice, reminded him of his goals. Eventually, he lost his scholarship because he failed in two subjects. He had no other option but to shift to a different college course to regain his scholarship. That gave him a big life lesson of setting his priorities straight. If things go smoothly as planned, my son will be graduating from college in 3 semesters from now, with a degree in Marketing Management. 2. When "Finding the Right Behavior" is deemed part of the learning process. An effective coach or parent would always have a keen eye to determine the right time to step in. Letting our children explore things on their own is built on trust. We should allow them to learn things, to discover and find their niche. However, there is always a risk that they may cause harm to themselves or to others in this process, which is exactly why we should always be on guard. A phrase that I keep in mind when I do this step is "Keep them on a leash but cut them some slack." 3. When you do not have enough time. Positive outcomes are achieved when we have time to sit down and talk. Coaching is an exchange of thoughts, ideas and suggestions. It is planning a goal and laying down the blue print to achieve it. If you only have 5 minutes to spare, reschedule! Try to think about it, which would be more effective? To tell your child - "I want you to finish your book report by the time I get home" or "I see you are having difficulties with your book report. 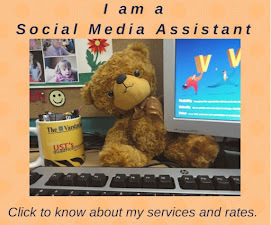 Let's talk about what we can do to help you meet the deadline." COUNSELING, on the other hand is done when repeated coaching has not changed a behavior or provided the results that were agreed upon. Counseling entails corrective or disciplinary action. A better way to differentiate between "Coaching" and "Counseling" is that the former addresses a "skill issue" and the latter addresses a "will issue." Let me provide an example. In this day and age, children are so attached to their gadgets that they neglect their responsibilities like doing homework or going to bed at a certain hour. The first time this behavior is noticed by the parents, a coaching session is provided to the child and SMART goals are laid out. If the behavior does not change, then counseling will step in. This may be done in the form of taking the gadget away from the child until such time that they learn to attend to their responsibilities without being constantly told to do so. Another route to take would be to determine the root cause of this gadget addiction. The example above is clearly a will issue. With counseling, the progress may be slow and painful, because it deals with feelings and the subconscious mind. Some behavior may have its roots in a certain traumatic experience which causes the individual to avoid anything that may be associated with the trauma. In the example above, a child who shuns schoolwork and favors playing with gadgets may be a sign that he/she may be extremely shy in school, an underachiever, or worst, a victim of bullying. Watch and see what kind of games the child is engaged in. It may be that the child finds that they can "win" in this realm instead of facing the reality that they are "losers." As parents, we should immediately step in and counsel before it gets to be a habit that would be more difficult to address later on. "If any parent feels like their child could use some counseling, they should call the school." In my job, I have been coached as part of a routine requirement for measuring performance. I have provided coaching sessions too, for my agents who are having difficulty meeting their key performance indices. My mother has provided valuable coaching for me and my siblings. I have been counseled too, many times, by my mom, and it was all for the best. So now, I am a mom working to manage a full time 8 hour job, run a household and send my two youngest children through college. Weekends are aptly described as "mayhem days" because I attend to Everything (with a capital E) that I was unable to do during weekdays. Despite this crazy schedule, I find time to talk with my children. I follow up on their activities, and encourage them to treasure the gift of education. I ask my sons how their girlfriends are doing and I ask my daughter about her challenges in her work. I may not be a perfect parent, but I know I am doing good somehow. Your choice now. Would you COACH or would you COUNSEL? This is was very interesting and informative. I really never differentiated between coaching and counseling but wow did that hit home... coaching is a skill issue and counseling is a will issue. Completely different issues require different approaches. This made for good reading - I like the way you differentiated between a skill issue and a will issue. 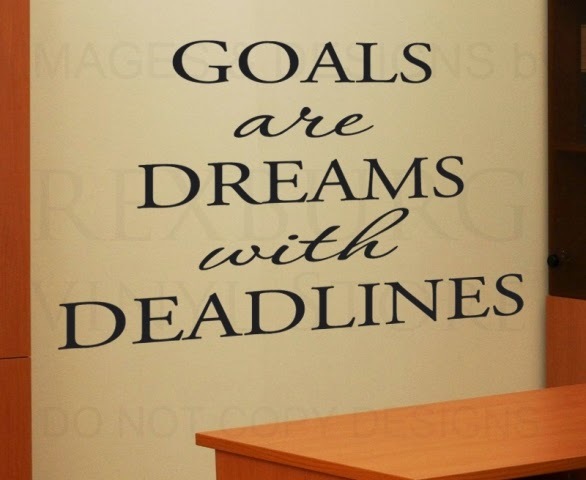 I also like the poster - Goals are dreams with deadlines. Nicely put. Aio, great read. Made me realize I coach, my wife counsels. This is very informative post and the parents who are experiencing this face of life for the first time need such informative , the most. I was not aware of counselling and coaching before. I like S.M.A.R.T goals. It is nice that you are helping your kids and encouraging them and giving them best values. I hadn't thought about the very real differences between coaching and counseling. Parents need to be careful not to be constantly telling their children what to do, especially as they get older and are away from home. I feel that today many "helicopter" parents aren't doing their offspring a favor by being constantly in touch. Children need to discover what being an adult is like gradually. A very interesting approach to apply these business skills to parenting! i guess you can apply both? coaching and counseling is what our child needs in order to help them with a good head start. Great blog, We all need to know when it is time to coach, or counsel someone, even children. It can be a fine line to walk sometimes. Good advice on how to coach and counsel your child. My daughter is 26 now, but this post reminded me of how often I found something in training I took in the corporate world, especially that related to dealing with people, that applied to parenting. And alternatively, I remember finding things in a parenting course that I could apply to the workplace. I went through coaching school and the skills I learned have helped me so much - more than any counceling I've had so far. Like Lenie above I have never really thought about this but when I saw it in your post it clicked...Goals are absolutely dreams with deadlines. This is so good! I'm really glad I read it. I have a 16 year old being homeschooled now and I need to step in and coach him sometimes. And there's been other times we need to counsel him. And keeping them on a leash with some slack is exactly what I try to do! Great list, there is a saying "The best gift you can give to your children is to follow their dream." Teach our kids to stay positive and go for their dreams without giving up. One of the things that is different about coaching and counselling from a business perspective. as opposed to parenting, is that in business you can sometimes hit a point of failure where you give up on a employee or just decide he isn't right for the organization. In parenting you never give up and there is not really any such thing as being wrong for the family organization. Thank you so much for these great tips sis Ei. Here at home, hubby helps our daughter and I help our son and we see to it that we help them in every possible way. This is a very deep reading especially when it comes to applying these tips to our kids. It is important that we approach the training we give our kids the right way! There are instances that you will need to apply coaching and/or counseling. Great informative article about couching and counseling that can be applied at home or in the work place. I find myself doing more counseling when I should be doing more coaching. Thanks for bringing that to my attention! This is a highly informative post. You have enlighten your readers on how to coach and counsel their children. great tips! I think coaching is so much better than counseling! We have never try counseling but read a lot about it and how it helps with kids and couple. I liked the phrase of finding a "balance of praise and constructive criticism". It's easier to swallow the pill of constructive criticism if we trust and respect the person it's coming from. And that's usually when they have a history of giving us praise and we understand the criticism is coming from a place of wanting to support us to succeed. Coaching would be my choice. At least now I know that if it fails, I should use counseling. Loved this post, its very educative and informative at the same time. The differentiation of the two and effectively using them to the benefit of a child or mentee is key to achieving the desired results.